Florida Visitor Guides .com is your premier online Vacation guide to the state of Florida showcasing hundreds of exciting attractions, hotels, restaurants, real estate & vacation rentals throughout Florida. Free Credit report and credit score online in seconds. See what loans you can qualify for - even if you have bad credit! Did you know that you can still get a mortgage in todays volatile credit market? Welcome to Florida Visitor Guides .com The premier online guide to the state of Florida showcasing hundreds of exciting events and attractions throug hout the "Sunshine State". We invite you to take a virtual tour of some of our most popular travel destinations featuring the cities of Miami, Ft Lauderdale, Clearwater, Tampa, Orlando, Key West, St. Petersburg, Ft. Myers, Palm Beach, St Augustine, Daytona Beach, Sarasota, Panama City, Tallahassee and the Florida Keys. To learn more about relocating to Florida and Florida real estate opportunities please click here. Take a trip back into time! Visit some of Florida's original roadside attractions. click here for a virtual slide show! Everglades National Park Florida.com -The premier online guide to the Everglades National Park Showcasing hundreds of exciting attractions throughout the south west Gulf Coast area of Florida including the neighboring communities of Naples, Chokoloskee, and Marco Island. The Everglades National Park has been designated a World Heritage Site, an International Biosphere Reserve, and a Wetland of International Importance. 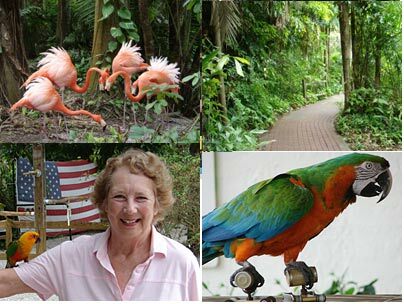 click here for a virtual slideshow of Florida Birds . Established in 1947, the Everglades National Park covers 4,000 sq mi in southern Florida extending from Lake Okeechobee southward to Florida Bay. Federal Land comprises 1,398,617.13 acres, Non-Federal Land - 461.13 with the gross total area acres of 1,399,078.26. The Everglades is a unique ecosystem and is completely dependent upon water flow, making it one of the largest and most productive estuaries in the world. The Everglades support more than 350 species of birds and over 1,000 species of plants. In these troubling times are you in need of ready money? SEVEN POUND WINTER RED FISH CAUGHT FROM A KAYAK IN 10 INCHES OF WATER! Take a virtual kayak trip with Rob Grant & Captain Jim Elliot as they search for the elusive winter Red Fish on Tampa Bay. Experience the excitement of a rod bending fight with a hefty 7 pound Red from a kayak in only 12 inches of water! click here WHY THE JUMPING 'LADY FISH' IS CALLED THE "POOR MAN'S TARPON"! Watch the acrobatic jumps of a 'Lady Fish' (the "poor man's tarpon") caught from a kayak on the Manatee River in mid January! click here KAYAKING THE TAMPA BAY FLATS DURING EXTREME WINTER TIDAL FLOWS Experience the tranquility of crystal clear waters flowing over the sand flats filmed from a kayak durring the extreme winter tidal flows on Tampa Bay. This is heaven on earth! 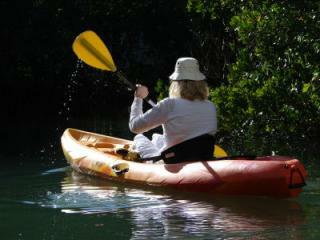 Click here for a virtual slideshow of Kayaking around Anna Maria Island and the mangroves. 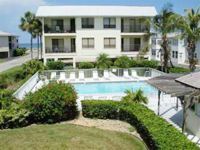 Our luxurious Anna Maria Island beach rentals condo is an immaculate 2 bedroom, 2 bathroom, first floor condo surrounded by four tropical bodies of water with the Gulf Of Mexico to the West, Tampa Bay to the North, Sarasota Bay to the South and Florida's Intra-Coastal Waterway to the East. Featured here is a gorgeous contemporary built and elegantly furnished Anna Maria Island beach condo surrounded by four of the most beautiful beaches in all of Florida and offers you 7 miles of white sand beach lined with fishing piers, 150 miles of waterfront, private beach access, private sheltered parking, heated pool and FREE trolley service on Anna Maria Island. Select one of the virtual trips below to begin your adventure! Have you ever thought about publishing your very own book about your trip to Florida? Foreclosure is the equitable proceeding in which a bank or other secured creditor sells or repossesses a parcel of real property due to the owner's failure to comply with an agreement between the lender and borrower called a "mortgage" or "deed of trust." Commonly, the violation of the mortgage is a default in payment of a promissory note, secured by a lien on the property. Kayaking on Florida's many lakes, rivers and oceans has become a very popular activity. You can rent kayaks daily, weekly or even by the hour at many locations. Your skill level and degree of adventure will be your guide as to what type of kayaking is right for you and your group. Ocean- An ocean kayak is a �sit-on� kayak where you actually are sitting on top of the kayak. These kayaks are used mainly to paddle in the ocean, and are very buoyant because there is no interior space for water to be collected as there is in an ocean and river kayak. They handle waves very well, and are ideal for the ocean adventurous person. Try taking a Sea Kayaking Tour to take advantage of Florida's playground! Sea kayaking tours are offered in the Florida Keys & Everglades. Turket Creek, Florida, Jennings to Alapaha, class III-IV, 1 miles long. Alapahoochee River Grand Bay Canal), Florida, GA SR 135 to FL SR 150 on Alapaha, class II, 4.5 miles long. Aucilla River, Florida, FL SR 257 to gauging station Close to Cabbage Grove, class I-II, 6 miles long. Falling Creek, Florida, FL SR 131, class III, 0.3 miles long. Suwannee River, Florida, Big Shoals Tract to US 41 bridge, class I-II(III), 4 miles long. Click here to learn more about Florida's white water adventures! snook, redfish, tarpon, mackeral & more! We invite you to join Rob Grant on his many colorful angling adventures in this ongoing web series featuring spectacular sport fishing in the great state of Florida! Sit back, relax, and enjoy a variety of online slide shows as we profile the many exciting virtual fishing expeditions throughout Florida's Everglades National Park, deep sea fishing in The Gulf Of Mexico, fly fishing on Florida's mangrove flats and spin casting in famous Tampa Bay. Our quarry in this series will range from the elusive and lightning fast Snook to hard fighting Reds and powerful Grouper. Mixed in with all this are your favorite species like Barracuda, Shark, Spanish Mackerel, Mangrove Snapper, and so much more! We will also be joining Rob Grant on more angling adventures as we profile some of Florida's best known fishing guides and take you behind the scenes as we map out future fishing expeditions into Florida's famous back country to stalk trophy tarpon in the Ten Thousand Islands and then venture far out into the deep blue Gulf of Mexico for spectacular big game fishing! Sit back, (just imagine yourself poling a flats boat silently across crystal clear saltwater flats) and prepare to catch lots of fish using only your computer as you join Rob Grant on his many wild and wonderful virtual Florida Fishing expeditions! Click on the images below to start your trip! Join Rob Grant on a virtual Fly Fishing expedition for snook and redfish on the famous Tampa Bay flats. Join Rob Grant & friends on a virtual kayak fishing trip in the mangroves of Tampa Bay and offshore in the Gulf of Mexico. Join Rob Grant & friends surf fishing in Daytona Beach and New Smyrna Beach for Whiting and Pompano. Join Rob Grant on a virtual tour of the Ten Thousand Islands. Join Rob Grant on a virtual tour of the historic fishing village - Cortez, Florida. Discounts on family vacations in the Orlando area! Save 50% on great Orlando hotels! 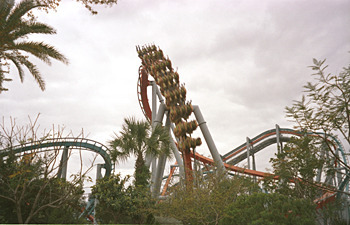 Orlando also has many year round water parks for the tourists enjoyment as well as the locals. Blizzard Beach is one of the best Chemed Orlando water parks! Typhoon Lagoon, Wet 'n Wild, Water Mania, and Adventure Island are just a few more water parks! 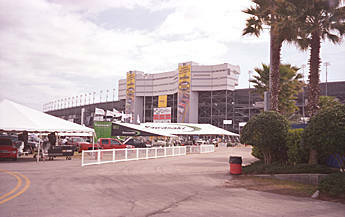 Daytona & Daytona Beach are known as the "World Center of Racing" and home of NASCAR. Daytona Beach is famous for its beautiful white, sandy beaches stretching approximately 23 miles in length as well as its many historical landmarks including the Main Street Pier, the Oceanfront Boardwalk and the Clocktower in Oceanfront Park. Daytona Beach also borders the Intracoastal Waterway and Indian River and is close to the famous Canaveral National Seashore Park. The resort community of Daytona Beach is ideally located in Central Florida and offers visitors a delightful year round vacation destination. Daytona is also close to well-known tourist attractions including the nearby Kennedy Space Center and Orlando's entertainment capital featuring the famous Disney World, Universal Studios and Sea World. 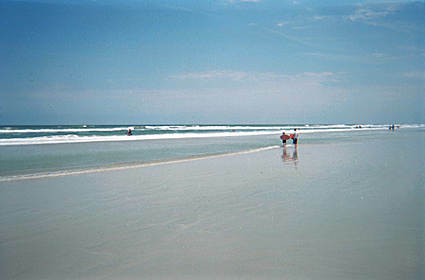 Daytona Beach is a famous destination for college "spring break" and entertains approximately 8 million visitors each year. Here visitors can find world class angling, boating, surfing, golf, tennis as well as miles of pristine inland waterways for canoeing and kayaking. Daytona Beach offers visitors a multitude of wonderful attractions including the famous Daytona Speedway, Daytona Beach Boardwalk, Ponce Inlet Lighthouse, and Canaveral National Seashore. Daytona also features unique shopping in two distinct areas - downtown Daytona and oceanside Daytona Beach. Both offer an eclectic mix of boutiques, shops, galleries, restaurants and antique stores. Visitors and shoppers alike can find a rich variety of historic, artistic and cultural attractions throughout the greater Daytona Beach region. Discover Miami & Miami Beach Florida! Miami can be divided into several areas, each with its own unique characteristics. Miami is located between the Everglades and the Atlantic Ocean and is known around the world as the playground for the rich and famous. Miami's average winter temperature of 67 degrees and its summer average temperature of 82 degrees makes it the perfect year round destination.The cultural mix in the city gives it a wonderfully cosmopolitan flavor, although the Latin influence of the Cuban community is huge. Miami was the center for the Art-Deco movement in the 1930s and 1940s, South Beach contains over 800 buildings in its Art-Deco District along the famous Ocean Drive. Miami Beach is spread out over 17 islands in the Biscayne Bay area; it is famous for its beautiful beaches and exciting nightlife. Miami also offers visitors an endless variety of cultural attractions and activities making it one of the worlds most popular tourist destinations. Travel information and discounted lodging on economy to luxury hotels throughout Tampa. This website gives you everything you need to know to plan your trip online when visiting exciting Florida ... It's all right here at your fingertips...with just a click of your mouse!